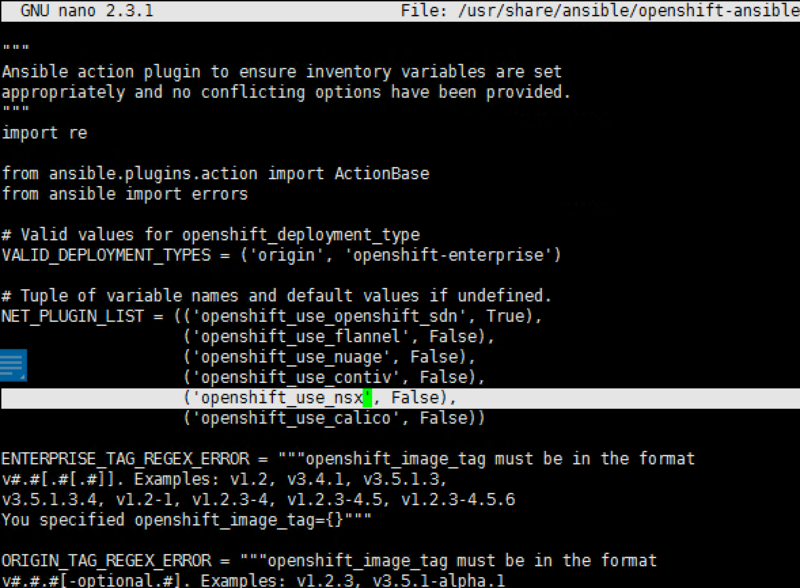 In this article, we will use Ansible to install Openshift 3.9. You will get warning message but that should be alright. Before we continue to run the next script, we need to install the nsx container plugins. Before that we already have the NSX container download in the /root. You have to do the below on every node. It will take about 30 minutes to complete the install by the ansible playbook. Your mileage will vary. You will see some error messages on the Web Console. This is because of the NSX-T integration have not been set up and therefore the error. 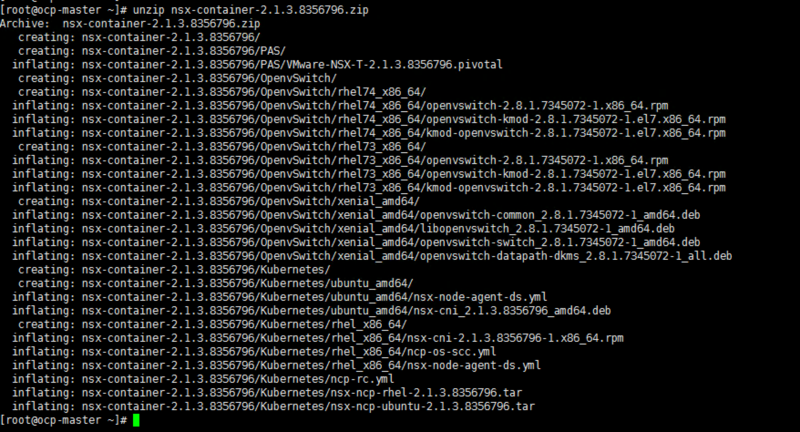 The next check that the openshift installation is successful is to do the following commands.